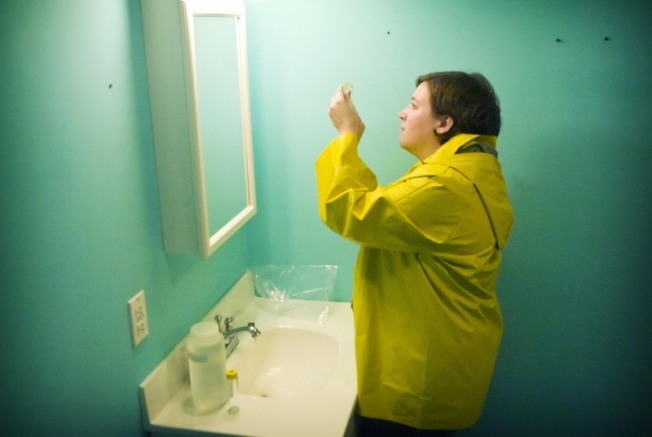 Amy Lehany, a health inspector for the City of Stamford, conducts water sample testing on well water in a home on Hannahs Road on Sunday Sept. 27, 2009. The Health Department is testing the well water of homes near Socfieldtown Park for contaminants. How clean is your food? If you eat out in the City that may be a valid question to ask these days. San Francisco health officials tell the San Francisco Examiner that restaurant inspections are down in the City because there are not enough inspectors to go around. The San Francisco Health Departmenthas 19 food inspectors on staff. It is suppose to have 23. That may not seem like a glaring gap but the department says the shortage means restaurants may only be getting one visit a year from a health inspector and trouble restaurants may not be getting the follow up they need because of the shortage. Each restaurant in the City requires two check ups a year. The department tells the paper it is trying to hire more inspectors but the process and training can take awhile. If you are interested in becoming a food inspector, the department is looking for a few good employees.